*What if 40 is the New 15? 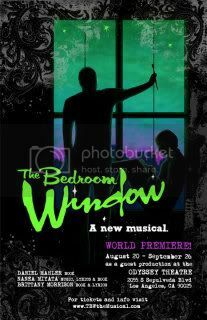 Em3 Entertainment presents the world premiere of The Bedroom Window running August 20 – September 26, 2010 as a guest production at The Odyssey Theatre. Directed by Elissa Weinzimmer (School for Suckers), it features book by Daniel Mahler, Nanea Miyata and Brittany Morrison, music by Nanea Miyata and lyrics by Nanea Miyata and Brittany Morrison. 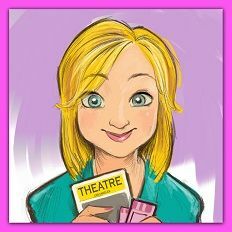 The Bedroom Window is an original musical that follows Gwen, a young writer, as she struggles to fit into the life scripted for her by her well-to-do family. Everything is blown off course when she meets Porter, a painter and a modern day Peter Pan, who is the embodiment of everything lacking in Gwen’s life. With a score of more than 25 original songs, The Bedroom Window explores the sacrifices, necessities and choices involved in growing up. The cast features Emily O’Brien and Justin Mortelliti as Gwen and Porter, along with Christopher Higgins, Jesse James Rice, Kelsey Scott, Adrian Kaley, Keven Kaddi, Justine Huxley and Debra Kay Lee. Ensemble and understudies include Jesse Einstein, Aimee Fortier, Patrick Gomez, Rachel Lee, Diane Linder, Terra Mackintosh and Jamey Schrick. Musical direction and vocal arrangements are by Nanea Miyata and Kyle de Tarnowsky. Scenic design is by Haley Keim, costume design by Daniel Mahler, and lighting design by Krystle Smith. 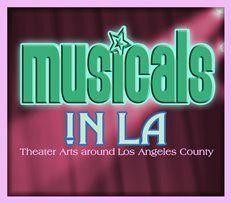 Tickets are available at www.tbwthemusical.com/ or by calling the box office hotline at 310-982-7670.